This week, there are movies on the list of releases, versus movies and TV shows. 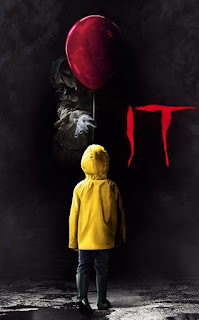 With that said, on Tuesday, January 9th 2018, we have two critical titles that many would be waiting for... the ever creepy It movie (I have not seen this yet! ), The Foreigner (Which I wanted to see but timing never worked out for me), and a Little Pony movie title! Starring Bill Skarsgård, Jaeden Lieberher, Finn Wolfhard. Starring Chadwick Boseman, Josh Gad, Kate Hudson.